New York Times and USA Today bestselling author, Francis Ray is a native Texan and lives in Dallas. In 1999 and 2000 she was nominated for Texas Woman’s University Distinguished Alumni Award. She was honored to give the 2010 winter commencement address. 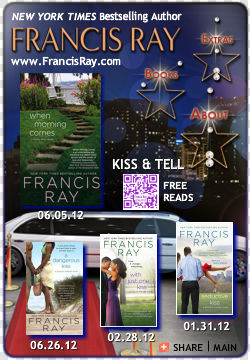 Click Away with Francis Ray!